It can often be difficult to determine exactly how well a fundraising campaign is doing. Of course, it is relatively simple to see how much money you have raised – but this is only part of the picture. Charities and fundraisers need to keep track of a range of metrics to help them understand their performance. A well-constructed, properly monitored set of metrics can help to improve efficiency, and bring in as much money as possible. A metric is, simply, a measurement. Thousands of metrics might exist within your charity or fundraising organisation. For example, you are likely to be keeping track of the total donations you have received, and the amount you are paying your staff. You can use ‘performance metrics’ to help you measure the success of your fundraising activities. The specific metrics you measure will depend on the nature of your organisation, but they should give you the opportunity to determine how well each element is performing. How can they help my charity? It is impossible to become more efficient, or work out how successful your existing endeavours are, unless you have hard figures to look at. Performance metrics are standardised, simple to benchmark, and easy to understand. From the outset, it is important to understand that single metrics are of little use on their own. Snapshots of information do not tell us very much. Instead, metrics should be monitored over an extended period of time in order to demonstrate trends. For example, say that you want to work out how to make your fundraising more efficient. You might choose to monitor metrics like total donations, volume of donations, and average donation amount over a period of months. During this period you might change individual variables within your organisation. For example, you might change a marketing campaign, or alter the process by which you process donations. Throughout the period you will be able to see changes and patterns within the metrics. This will help to give you an idea of what works and what does not work – and will allow you to improve in the future. What metrics should I measure? Information overload is a common problem for fundraising managers, as it is for business owners. Part of the skill of effective performance monitoring is deciding which metrics to measure. At the very least you will probably want to measure total donations, and various sub-metrics like donation volume and frequency. But there is a broad range of other indicators that you may choose to monitor. For example, if you employ other fundraisers, you should probably be looking at employee turnover and donations per employee. 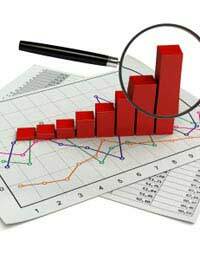 You should also use performance metrics to determine how well your marketing campaigns are doing. By closely monitoring interaction and donations on a campaign-by-campaign basis you can see what works for your charity. In turn, this will help you to improve the return on your marketing spend. Performance metrics are a vital means by which charities and fundraisers can improve their efficiency – and ultimately raise more cash.